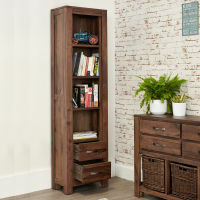 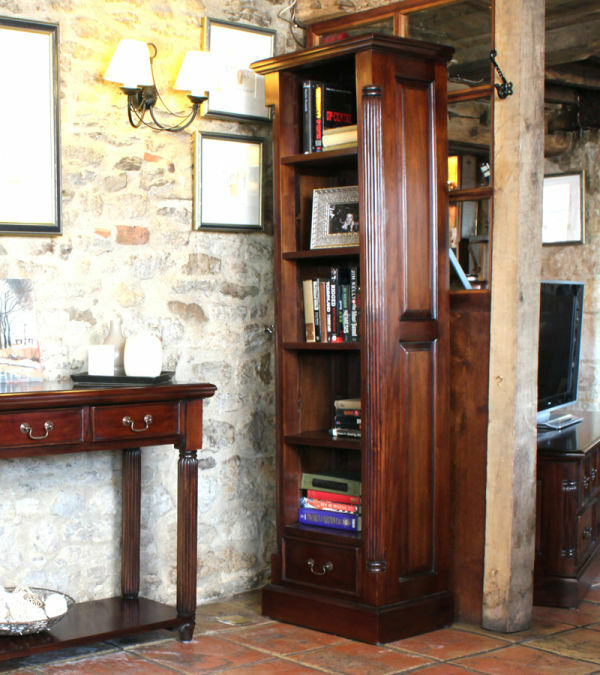 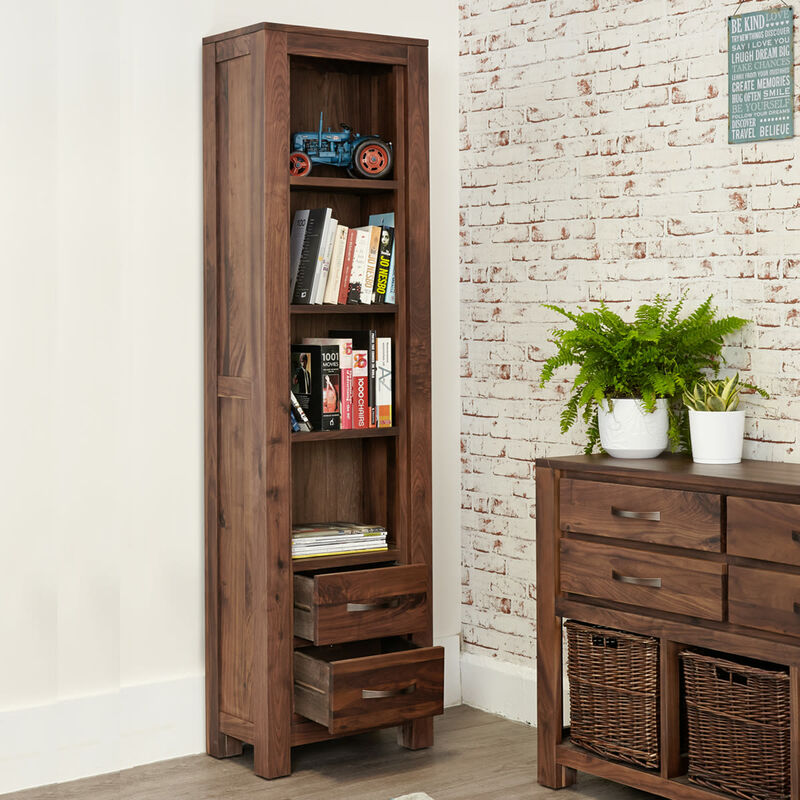 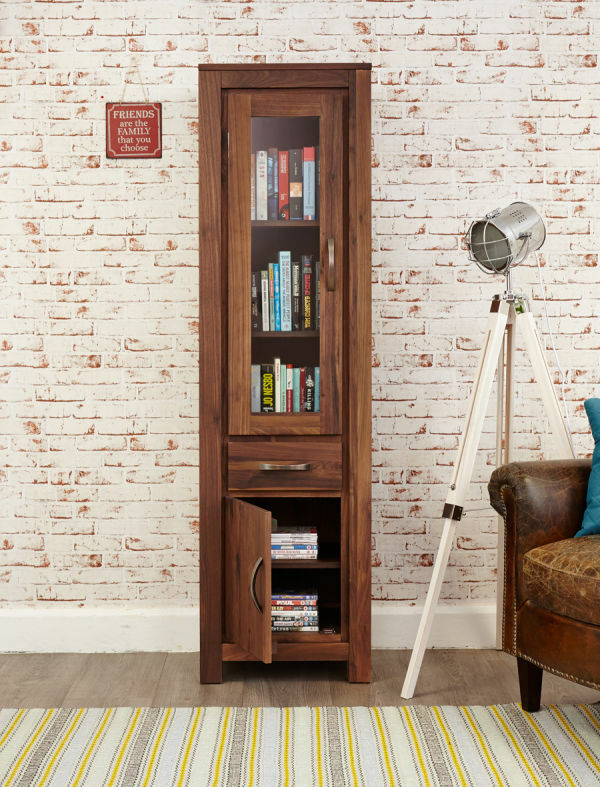 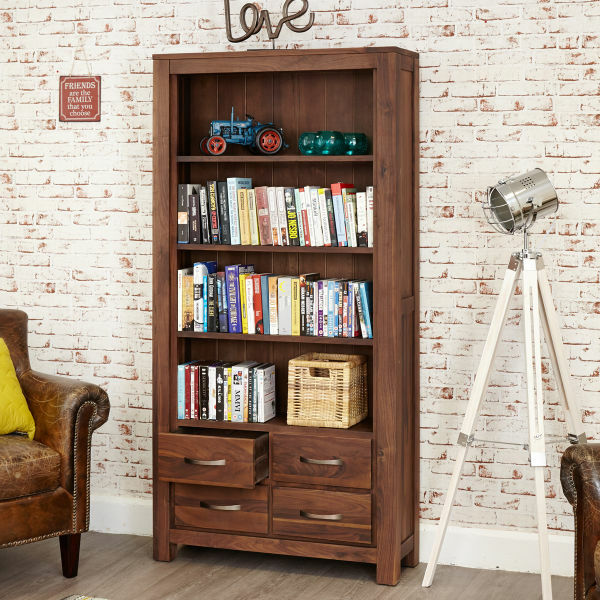 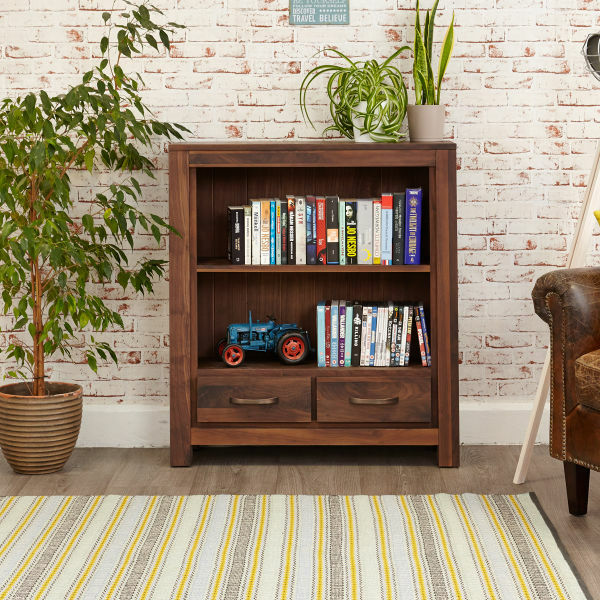 The beautiful Mayan Walnut narrow bookcase is a room-enhancing piece for furniture whether its used in the dining room, hallway or living room. 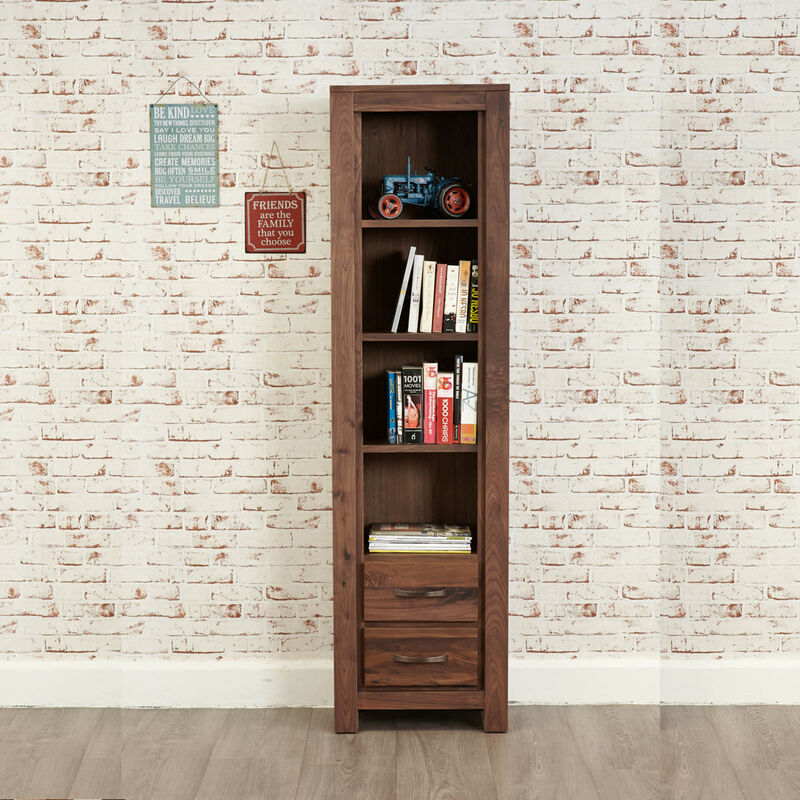 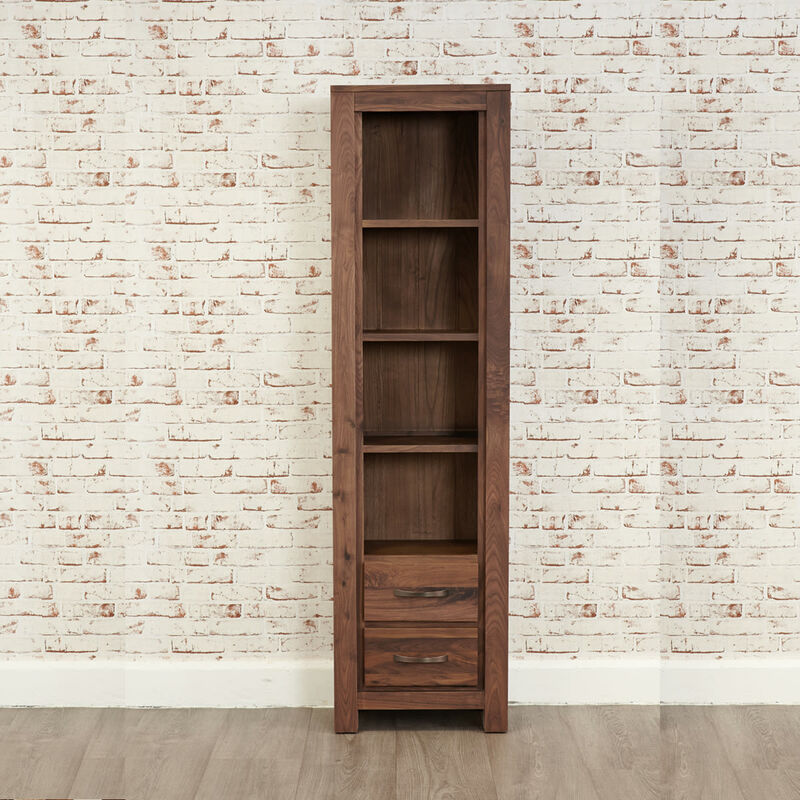 This compact and practical bookcase has plenty of storage with 4 fixed shelves and 2 drawers which are finished with stylish antique bronzed handles. 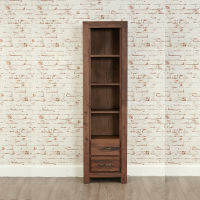 It is built to last from high quality solid walnut which has a dense grain, making it the perfect choice for stunning and unique pieces of furniture. 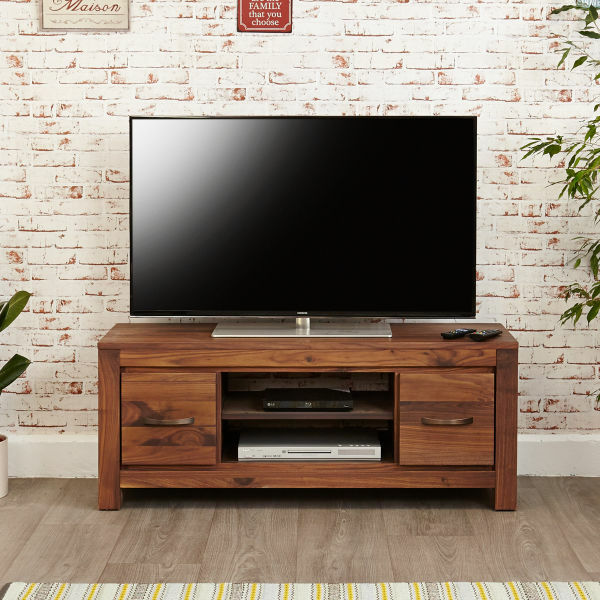 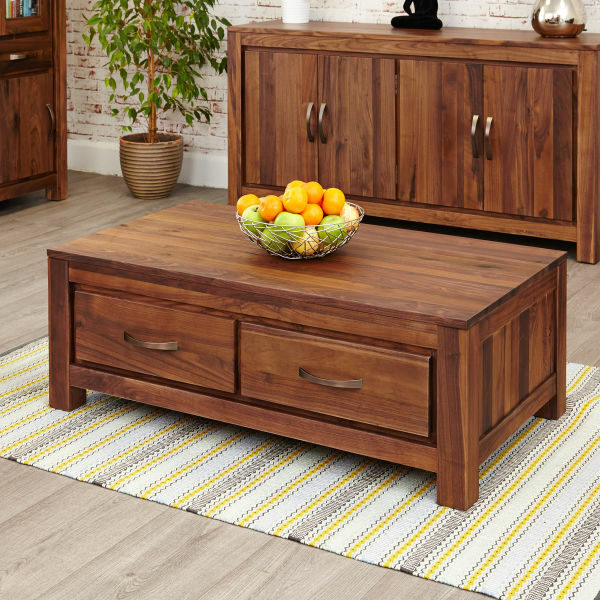 The Mayan Walnut living room range includes matching TV cabinets and coffee tables.